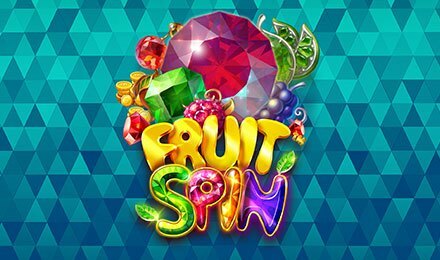 Grapes, Strawberries, Oranges, Lemons, Cherries, Double Bars, Triple Bars, Bars and 7 Bars are waiting for you on the reels of Fruit Spin slots! Ready for the game? Let it load at Wicked Jackpots anytime on either a mobile phone, a laptop or a tablet! This creation of NetEnt is packed with 5 reels and 40 paylines. Despite its retro themed symbols, the game is modern and comes with top features. If you are in for a good time, this game is worth a try. Bet Levels: On the Bet Level Field, you can select any level which range from 1 to 10. Amount of Paylines Selection: You cannot alter the paylines as these are fixed. Coin Values: Adjust your preferred stake from £0.10 to £0.10 by making use of the minus or plus signs. When the base game or the free spins round is active, you will see all the symbols, apart from wilds and scatters, stacked on the reels. The number of stacked symbols and the set of symbols varies for each round. However, you can find overlay wilds as well on the reels. The Lucky Wheel Feature is activated when 3 or more scattered symbols are present on the reels. You are thereby given 1 spin of the wheel for each triggering symbol. At the end of the spin, you can either grab some coin wins or some free spins. The Free Spins Round is launched when 3 free spins symbols appear on the lucky wheel or when 3 wild symbols are present on the reels in the base game. You are instantly offered 5 free spins. You might get extra free spins if the same number of symbols are further seen on the reels.